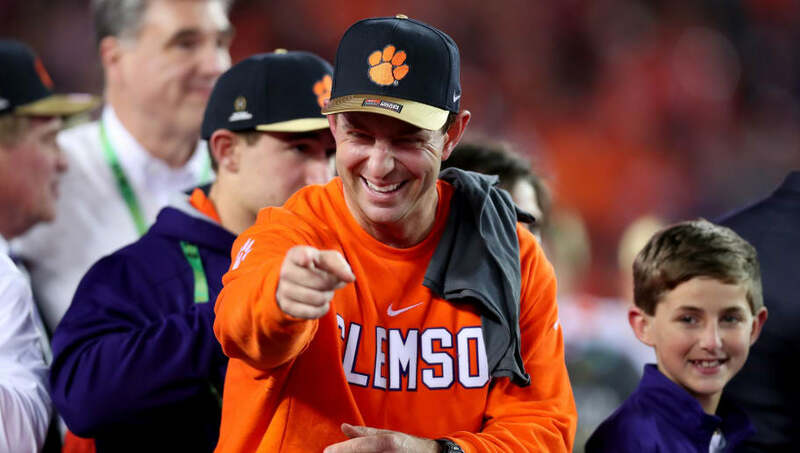 ​Dabo Swinney is one of the goofiest personalities in all of college football, but he's also one of the best coaches the game has to offer. Upon his hire in 2008, many greeted it as a chance for Clemson to upgrade from within once Tommy Bowden was fired midseason. Swinney led the Tigers to a respectable finish that season, and his interim title was erased. Although, apparently not everyone liked the move. ESPN's Pat Forde rated it as an absolutely terrible move. This has to be one of the worst ​freezing cold takes of all time. A D-plus?! You have to be absolutely positive to give a rating like that. For those with bad vision, here's what the post says. "Swinney was part and parcel of a failed season, but somehow got a promotion out of the deal. Who knew that beating Duke and Virginia could lead to such ample rewards? Clemson fans loved the fact that the Tigers closed the regular season by beating rival South Carolina. But hey, Bowden beat the Gamecocks seven times in nine tries and look where that got him. Swinney has the same thing going for him that Sarkisian has at Washington: the in-conference competition in the ACC isn't that stiff." Look, analysts guess wrong all the time. Even the best can't constantly be right, but if you're going to give a grade this bad, you have to be able to live with the consequences when that same 'D-plus' leads Clemson to it's first National Title since the 80's.